Kids with low vision are often given a chance to “practice” using their eyes in a nice calm environment. Light boxes are a great way to do this, but they can be expensive. Like always, I developed this method to make one on the cheap. You will need a print out of planet earth. I Googled “earth” and found one easily. 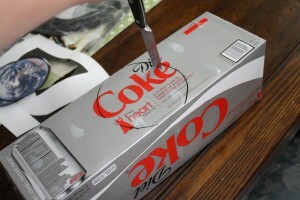 You will also need tape, an empty soda box (or similar), a flashlight, a pen, a pair of scissors, and a knife. First you need to cut off one of the long sides of the soda box. 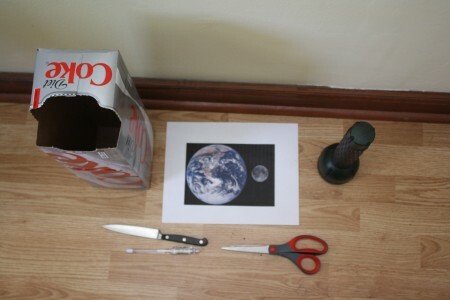 On the opposite side of the box, in the center, you will want to cut out a hole that is slightly smaller than your earth picture. To cut the hole, I used my knife to get it started and then finished with a pair of scissors. Then tape your earth picture to the outside of the box, with the earth picture facing in. 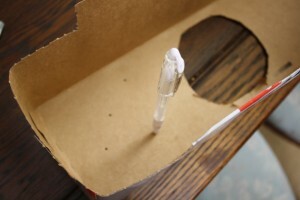 Next, take your pen and poke holes in the box all around the earth cut out. 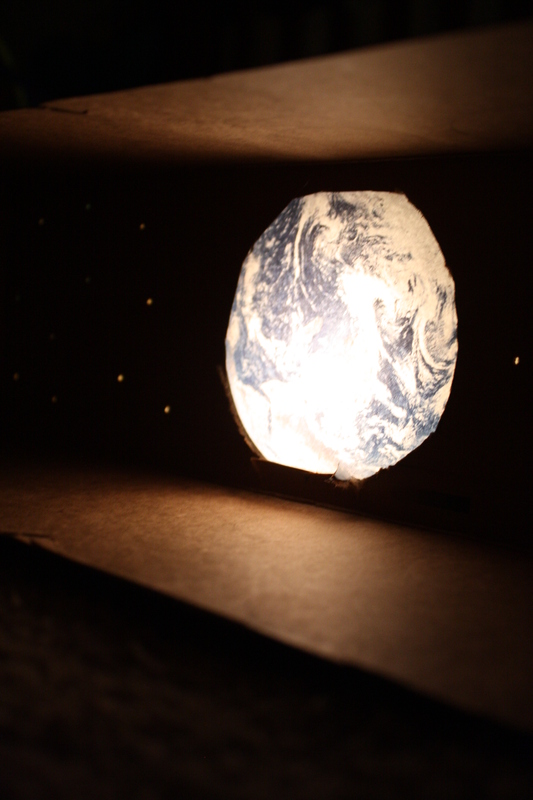 Take your box into a dark room and place the flashlight behind the earth. If you’ve got a strong flashlight like I did, it might help to dim it a little with a paper towel. 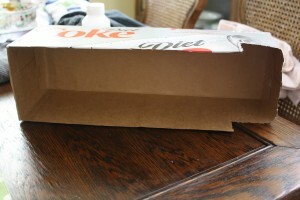 And there you go–the most-magical Diet Coke box I’ve ever seen. This could easily be adapted for other planets or even the entire solar system if you were feeling up to it. Click this link to learn more about Light Boxes: Materials, Activities, and Guides from APH.